The perfect waterfront single family home site. Across the street from Bonita Beach, only 150 feet from Bonita Beach Access # 2. Beautiful view of Fish Trap Bay from rear of lot. 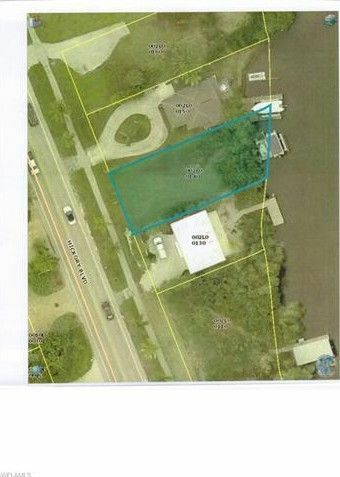 Includes a large dock with a heavy duty, covered boat lift and also a jet ski lift. Property has central water and electric service. Property has been surveyed and basic three story house plans have been prepared. Street number is posted on lot. Directions: From I-75, Exit # 116 at Bonita Springs, West on Bonita Beach Road, then North on Hickory Blvd. Lot on East side of Hickory Blvd.